Securestorm Limited is the data controller and responsible for your personal data. We are registered with the UK data protection authority, Information Commissioner’s Office (ICO). Our unique data protection registration number is ZA300959. We have appointed a data protection officer (DPO) who is responsible for overseeing questions in relation to this privacy notice. If you have any questions about this privacy notice, including any requests to exercise your data protection rights please contact the data protection officer at DPO@securestorm.com or call us on 0203 8655890. Direct interactions: You may give us your Identity, Contact and Financial Data by filling in forms or by corresponding with us by post, phone, email or otherwise. This includes personal data you provide when you: apply for our services, create an account on our website, subscribe to our service or newsletters, request marketing to be sent to you, enter a competition, promotion or survey. Third parties or publicly available sources: We may receive personal data about you from various third parties and public sources. For example, search information providers such as Google based outside the EU, public registers such as Companies House and Linkedin. How We Use Your Personal Data. Our Purpose & Lawful Basis. 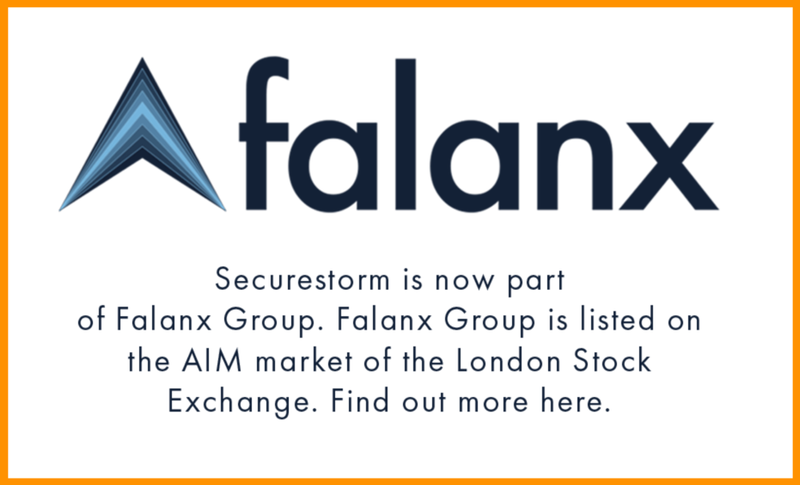 We will get your express opt-in consent before we share your personal data with any company outside Securestorm Limited for marketing purposes. Regulators and other authorities acting as processors or joint controllers who are based inside or outside the EEA. Approved Certifications and Code of Conduct mechanisms. Request access to your personal data: This is commonlyknown as a "data subject access request". This enables you to receive a copy of the personal data we hold about you and to check that we are lawfully processing it. Request erasure of your personal data: This enables you to ask us to delete or remove personal data where there is no good reason for us continuing to process it. You also have the right to ask us to delete or remove your personal data where you have successfully exercised your right to object to processing (see below), where we may have processed your information unlawfully or where we are required to erase your personal data to comply with local law. Note, however, that we may not always be able to comply with your request of erasure for specific legal reasons which will be notified to you. Object to processing of your personal data: For example where we are relying on a legitimate interest or those of a third party and there is something about your particular situation which makes you want to object to processing on this ground as you feel it impacts on your fundamental rights and freedoms. You also have the right to object where we are processing your personal data for direct marketing purposes. In some cases, we may demonstrate that we have compelling legitimate grounds to process your information which override your rights and freedoms. Request restriction of processing your personal data: This enables you to ask us to suspend the processing of your personal data in the following scenarios: (a) if you want us to establish the data's accuracy; (b) where our use of the data is unlawful but you do not want us to erase it; (c) where you need us to hold the data even if we no longer require it as you need it to establish, exercise or defend legal claims; or (d) you have objected to our use of your data but we need to verify whether we have overriding legitimate grounds to use it. Request transfer of your personal data (data portability): We will provide you, or a third party you have chosen, your personal data in a structured, commonly used, machine-readable format. Note that this right only applies to automated information which you initially provided consent for us to use or where we used the information to perform a contract with you. Right to withdraw consent: Where we are relying on consent to process your personal data. However, this will not affect the lawfulness of any processing carried out before you withdraw your consent. If you withdraw your consent, we may not be able to provide certain products or services to you. We will advise you if this is the case at the time you withdraw your consent.